Light Touch PLD, a Middle East based lighting consultancy, today announced the official opening of the new Design and CAD resource offices in Bangkok. The new office, based in central Bangkok, will aim to service the residential, leisure, retail and healthcare sectors in the region and comes as a welcome addition to the brands growth plans. A traditional Taboon Khun Wan Mai, a very important Thai ceremony that coincides with building a new house or opening an office, was performed during the opening. 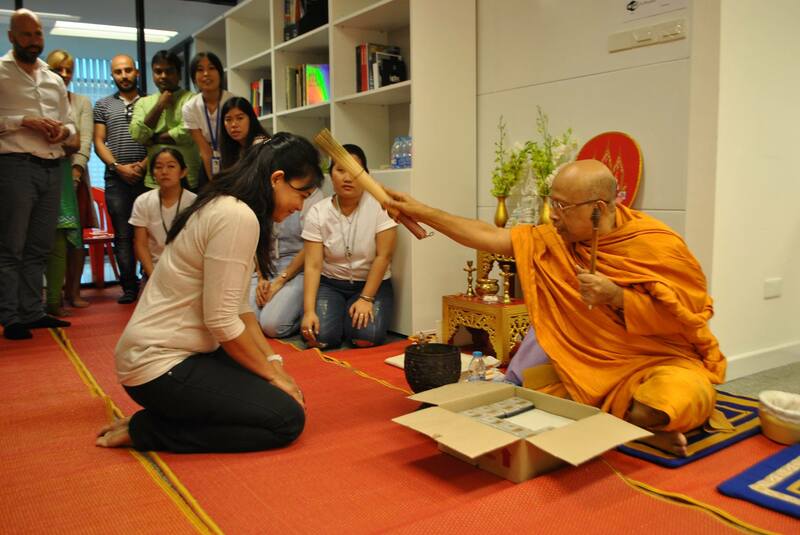 Monks were invited to bless the office and the employees with holy water, ensuring a prosperous and safe future, whilst the most senior monk painted a traditional design, known as a yantra, above the main doorway to wave off evil. Light Touch PLD, home to 40+ personnel, offers a fresh approach to architectural, interior and landscape lighting design whilst aiming to offer the most efficient and environmentally friendly light sources within each of its markets. The firm is a collaboration of design professionals including architects, interior designers, product and lighting designers and lighting engineers. 175 MPA Complex, Unit A, 4th Fl.